This module helps you create your own knowledge-sharing community in your web site quick and easily. You can decide which roles can ask questions and/or answers questions. Users you allow to ask question will be the administrator of their own questions. He/She can ask new question, decide which answer is the best, delete answers etc. And he/she can decide if the question is solved. The module can work with DotNetNuke 7.1.2+ including DNN 8.x, DNN 9.x and the newest DNN 9.2.x. From version 5.0, it uses C# as program language. New block tokens [ISFEATURED], [ISSOLVED] and [HASANSWER]. My Q and A is the main module. My Question List: a sub module to show a number of questions sorted in defined order. You can use it to show questions in any pages you want. User Question: show questions and answers of a user. You can add this module into user profile page. Category Question List: this sub module shows categories and questions in flat style. My Question Category Tree: a sub module shows categories of a main module in tree view style. 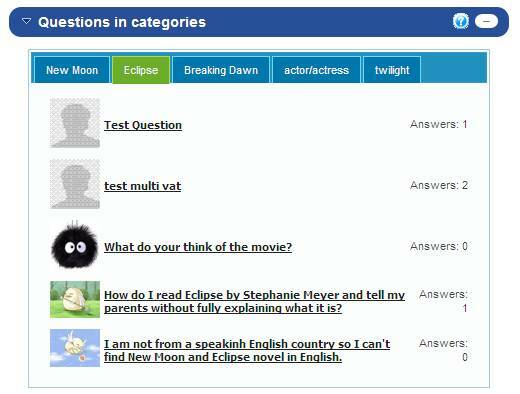 Search Question: the sub module allows users to search questions by the key words. (New in 4.5)Ask Question: it allows users to ask question in any page you want. (New in 4.5)Tabbed Question: Show “Solver“,“No Solved“,“Most Recent“,“Most Popular“ questions in tabbed pages. (New in 4.5)my Q and A Advanced: show questions in slider or tabbed pages. Administrators can define categories of Q&A. Administrators can define which roles can ask questions and/or answer questions. Authorized users can ask questions and/or answer questions. The asker of a question is the admin of the question. He/She can decide which answer is the best answers and if the question is solved. All questions can be shown group by categories. A user’s questions and answers can be shown in user profile page. 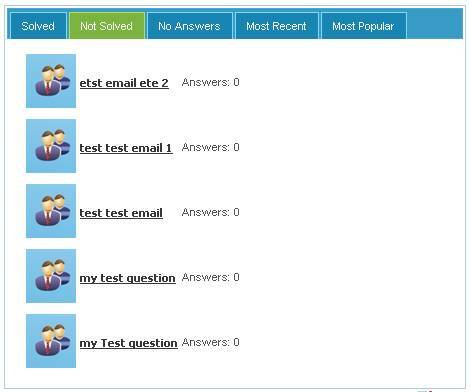 It can integrate with social modules such as Smart Thinker’s SmartSocial module to show profile image of askers and answers. Email notification: user can set email notification for new answers.